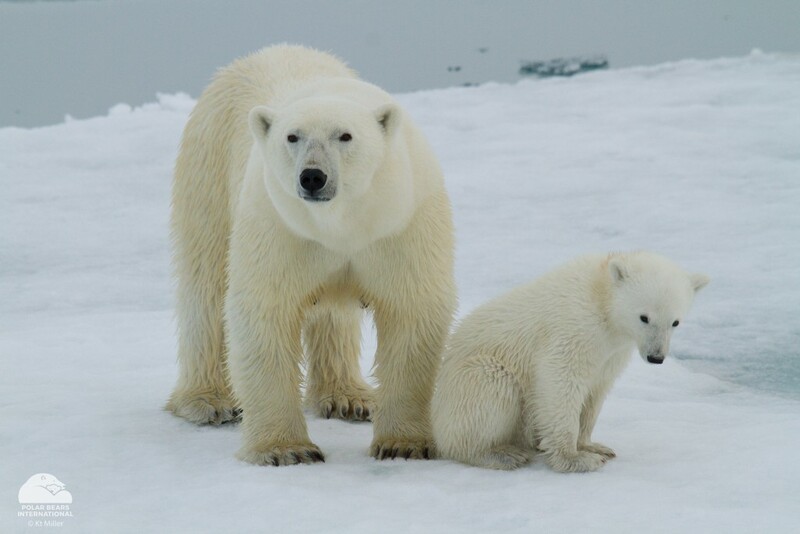 A mother polar bear and her cub on the sea ice off the coast of Svalbard, Norway. Though we may have felt it was a long winter, many polar bears are cherishing their last few weeks on Arctic sea ice before it melts for the summer. As explore.org prepares to catch glimpses of the bears’ return on various Churchill, Manitoba, live cams (including the soon-to-launch Beluga Boat Cams), we hope to get you even earlier glimpses of the great white bear, but from farther north than usual- Svalbard, Norway. Two Polar Bears International staff members, Alysa McCall and Kt Miller, are heading to Svalbard as part of a Mission Blue Spitsbergen Hope Spot Expedition. From the town of Longyearbyen, PBI will host a series of live chats with the Mission Blue team and experts joining the expedition, including the indomitable Dr. Sylvia Earle – the first person to ever walk on the bottom of the ocean and a courageous conservationist dedicated to protecting the worlds’ oceans. They will talk about the importance of oceans, Svalbard, our expedition, and highlight local marine life including polar bears. Questions may be difficult to receive in live time, so please leave your questions in the comments section below on this page, or on Facebook, or the Tundra Connections cam page. We will pass them on early to get them answered on air. It’s going to be a gorgeous trip full of Arctic beauty and wildlife. We can’t wait to share it with you! Will Hayley be back captaining the Beluga boat at Churchill, this year?